Most of the birthdays on both my side and my husband's side of the family are over the summer so this challenge was perfect timing! I could participate in the challenge and at the same time get one of many Birthday cards done! 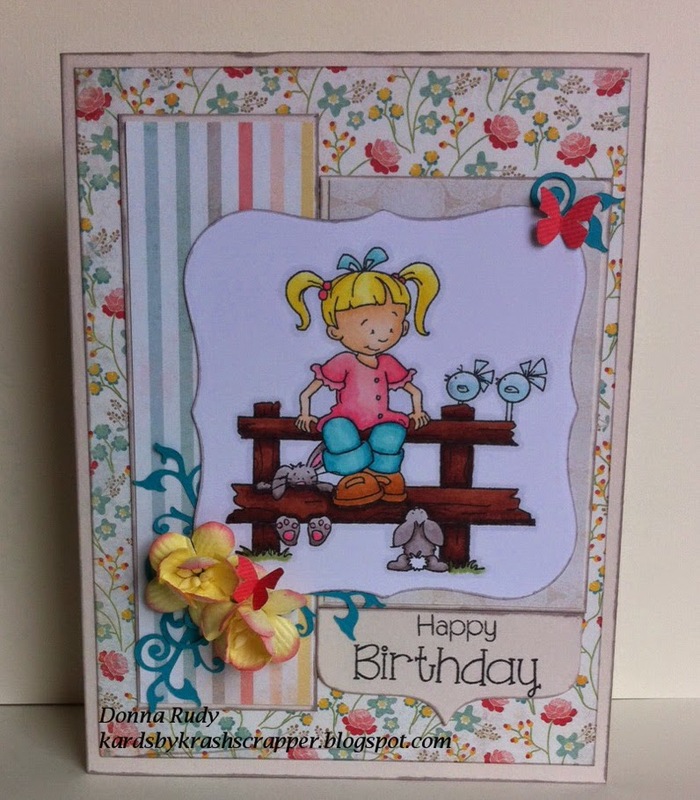 Today I am sharing the card I made for the challenge over at Kraftin' Kimmie Stamps - Challenge 233 - You Say It's Your Birthday!!! Thanks for stopping by. Any thoughts on my creations are appreciated.